Evangelist Ezekiel Guti Junior, son of the founder of Zimbabwe Assemblies of God Africa (ZAOGA Forward in Faith) church, Archbishop Ezekiel Guti, has died. Guti Jr (35) died yesterday in South Africa where he was battling for his life in intensive care unit (ICU) after he nearly drowned in a swimming pool on Christmas Day. Guti Jr was in South Africa for the holiday with his family. ZAOGA FIF's acting secretary-general Reverend Misheck Nyambo confirmed the death yesterday in a statement. 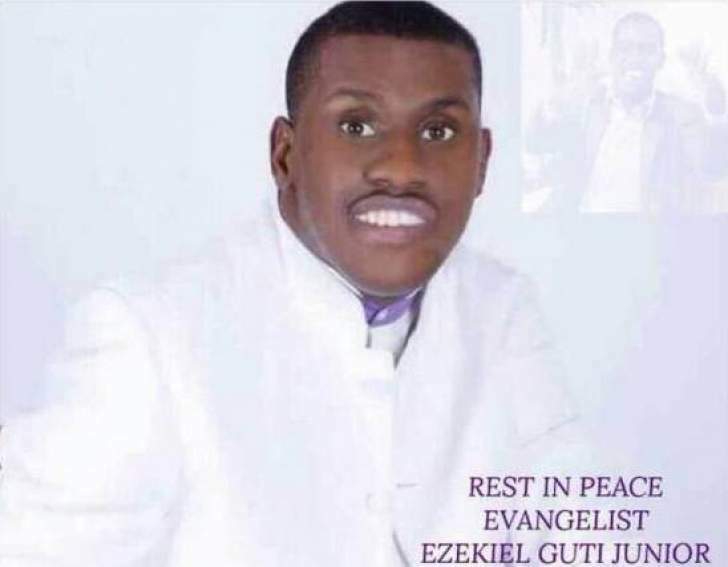 "It is with great sorrow that I inform you of the passing on of Evangelist Ezekiel Guti Junior this morning (yesterday)," he said. It is believed that the accident occurred during lunchtime on Christmas Day. Reports indicate that Guti Jr had instructed a guard to disconnect drainage pipes from the swimming pool when the accident happened. The guard reportedly called out for help when he saw Guti Jr drowning and one Dube, who is believed to be the driver, quickly rescued him from the pool, but he was already foaming and rolling his eyes. He was rushed to hospital and was battling for his life in the ICU till the time of his death. Guti Jr, wrote the book titled "The Man Who Defied Condition", where he revealed his personal experiences on how he defied his physical disability and speech impediment to claim a normal life, leaves behind his wife Caroline and three children. He is likely to be buried next year after the church's 10 days of prayer and fasting that runs from the first of January every year. "We will be updating you on the burial arrangements in good time to enable you to travel. "In the meanwhile, please do not travel to Harare for the funeral, but remain in your provinces and nations as we put the logistics in place. "We are hoping that the burial will take place in January 2018 just after the 10 days."